That is an amazing adventure! I went on a ‘grizzly weekend’ myself a couple of years ago, with an excursion from Telegraph Cove on northern Vancouver Island. Your photos are stunning! Hey! Thank you! 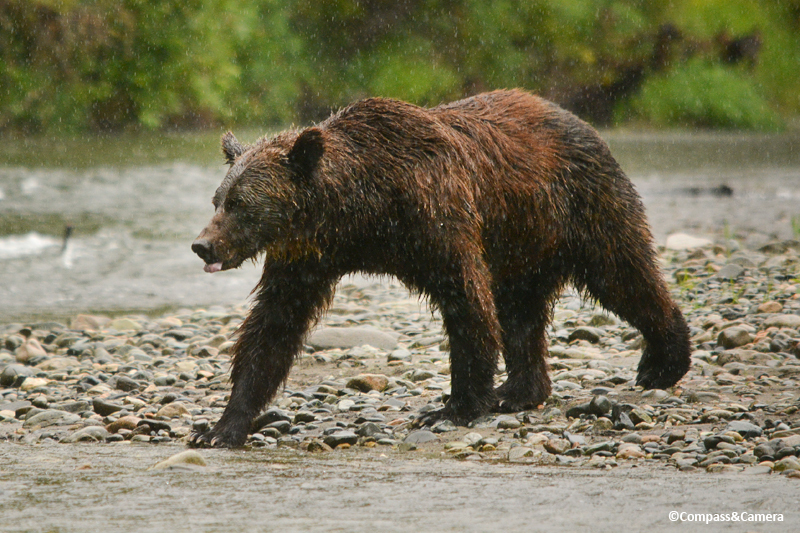 Lucky you to see grizzlies on the island — I hear it’s really beautiful up north. Hope you’re doing well, wherever you are in the world. Was just checking out your thoughts on Amanoi yesterday. What an adventure! Thanks for sharing your experience, Kelly. The only grizzly bear I can see upfront and personal is at the zoo. Great pictures as always. Wow, that’s an epic post! Grizzlies, no thank you. The vicarious experience through your blog is enough. Thank you, Michael. I’m sure there are more than a few people who share your sentiment. Thanks for reading! Thanks for sharing. Those bears and the scenery is amazing. Thank you so much for reading and getting in touch! Yeah! Great post Kelly! I could feel your excitement, and you got some fabulous photos! 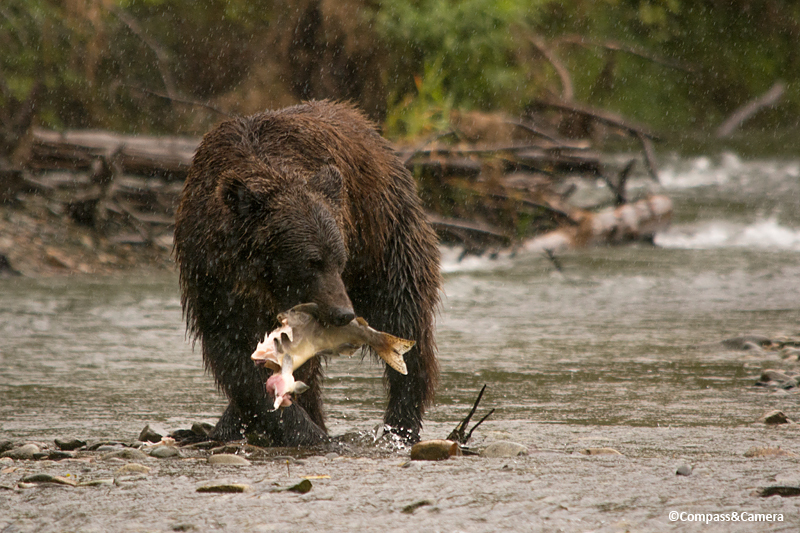 I would love to see the grizzlies fishing. For all my years in the north I never did see that, though I did see them wandering through the bush from time to time. Thanks Kelly. It’s nice to be stopped for a while, but I’d like the summer to be a bit longer. Hope you and J are doing fine. You keep having these awesome adventures! That’s just flat out amazing. The pictures are great, and I suspect reality was even better. The Grizzly is on the flag for my home state, California. While seeing polar bears up north is on my bucket list, it never occurred to me to look for grizzlies. Your trip looks awesome. How close were they? Were you ever scared for your safety? Thanks for sharing your experience! Hey! 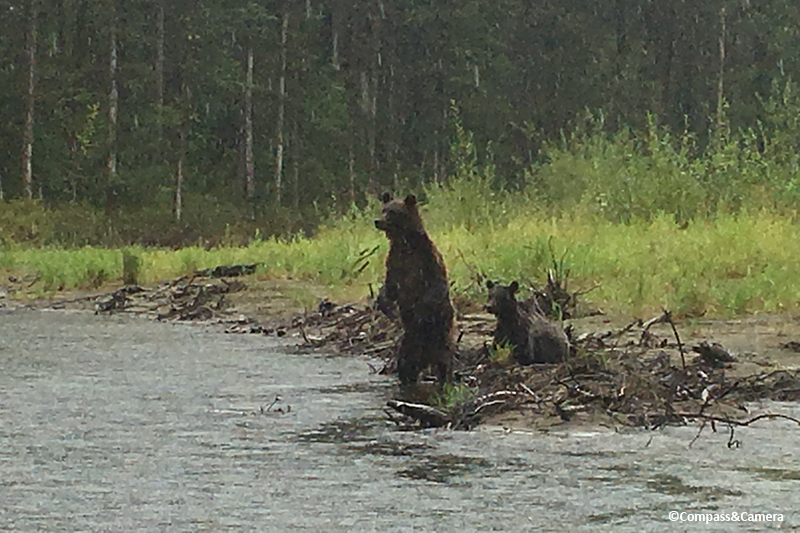 Funny — polar bears were first on my list but I started looking into grizzlies as well and that’s when I discovered how many places there are to see them in BC. 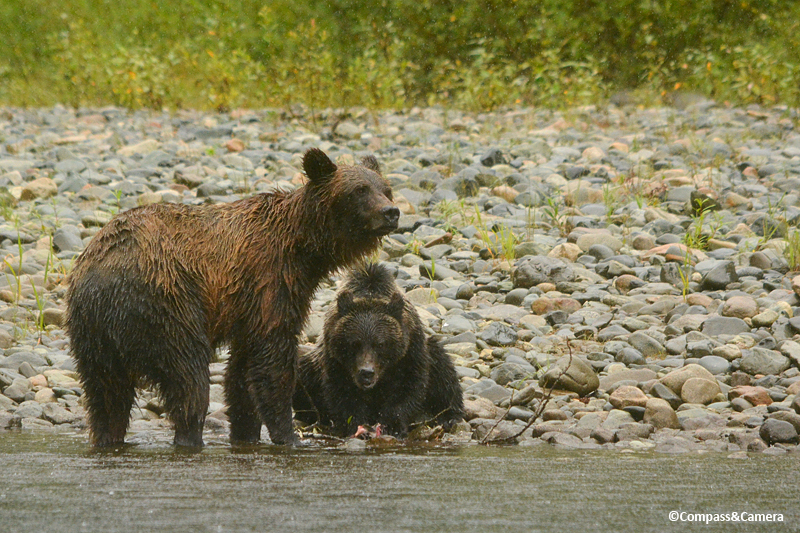 The mom and cub in the last photos were the closest to us. We were right across the river from them and I did wonder if they would swim to the shore we were standing on because they’re such great swimmers and there wasn’t much of a shore on the other side. They were only about 50-75 feet away. I noticed when I was editing my photos that the cub is looking straight at me in all three photos I have of him. We were never scared — they paid us no attention. But I wouldn’t want to meet one on a trail. We had the option to do a walking tour but we declined for that reason. Thanks for your comment and questions! Great post! Dave from Plying Through Life shared your post. Amazing adventure. 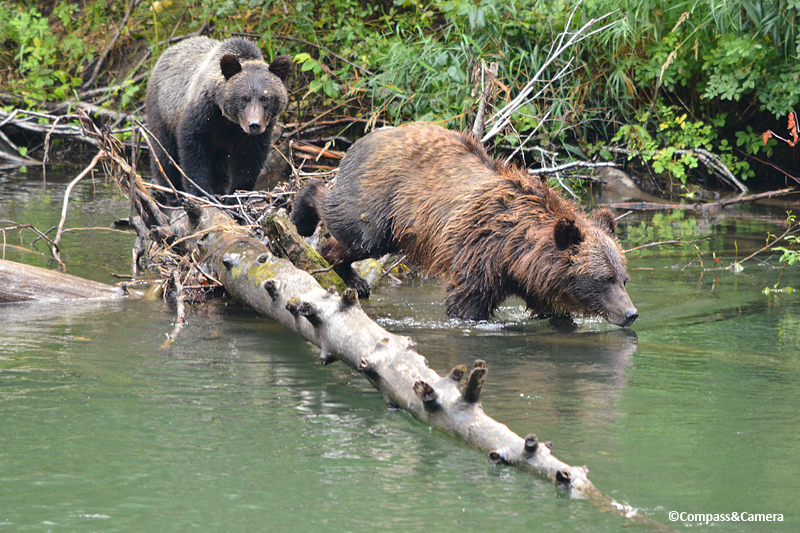 We’ll be headed back to BC in Fall and we’ll be seeing grizzlies from Campbell River.This will be our 2nd trip to BC. Last year we stayed in Victoria and Vancouver. This time we’ll be in Victoria, Port Renfew, Campbell River and Seattle. We love it there, it’s a nature wonderland. Hey! That’s so cool that you found me through Dave! Thanks so much for reading and sharing your thoughts. 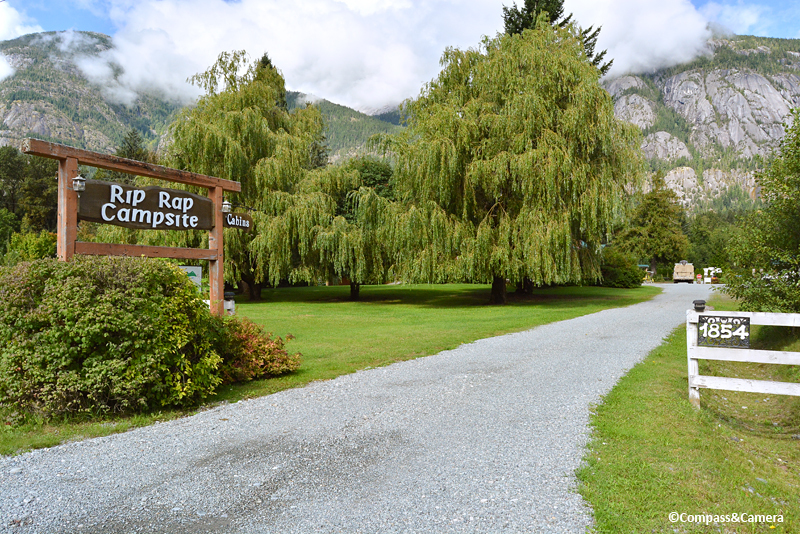 Your Campbell River trip sounds like it’s going to be great! That area is next on my list I think. 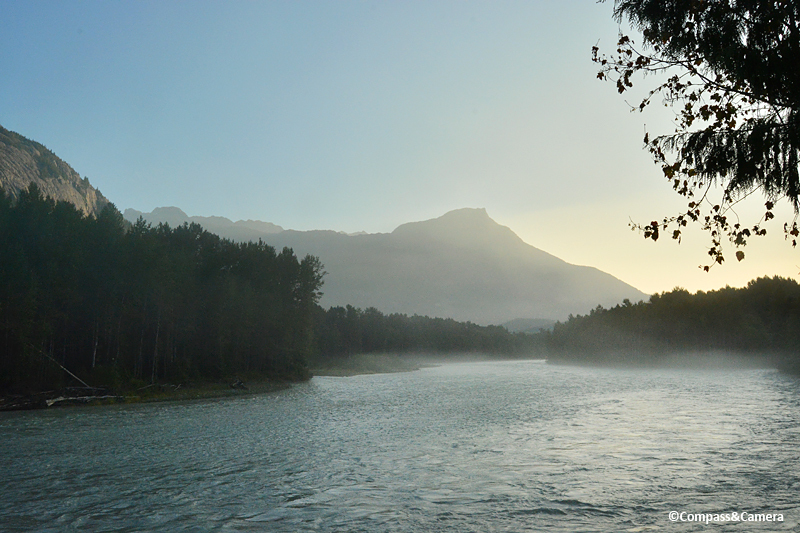 Great that you’re exploring beyond Vancouver and Victoria, too. Have a great time — looking forward to reading about your adventure. Thanks again! 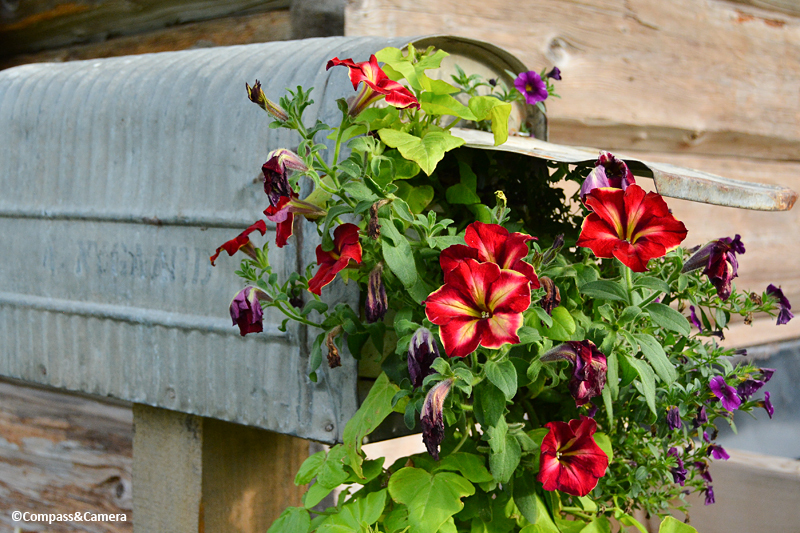 Great blog – a subject dear to my heart! I WILL do this some day, hopefully sooner than later. Thanks for publishing all this useful info! The pictures are rare and wonderful glimpses into deep wilderness animal life. You and P would love this adventure. 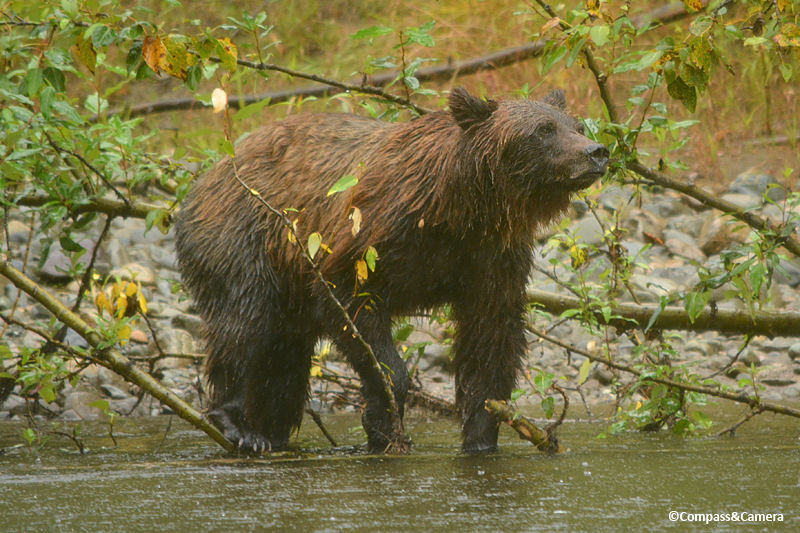 Lots of places here in BC to see grizzly bears too, not just Bella Coola. Hope you go someday! Thanks for sharing your wonderful adventure Kelly. Enjoyed every word of it and the photos are just brilliant. Warm wishes. I always enjoy and admire your posts, but this might just be my favorite EVER! I can’t even put into words what I loved so much, but I guess it was the combination of the campsite, which I think I could stay in forever, and the bear watching, which was too good to be true, and on top of all that, your usual flair for writing in a way that captures not only the particulars but the feeling and the ‘je ne sais quoi’ of a place. So, so, so good! Quite tempting! That’s the kind of trip my husband might even take with me! 🙂 Keep me posted! Great write-up and amazing shots, Kel!! Hey, beauty! Thank you! Miss you! Yes, Curt! 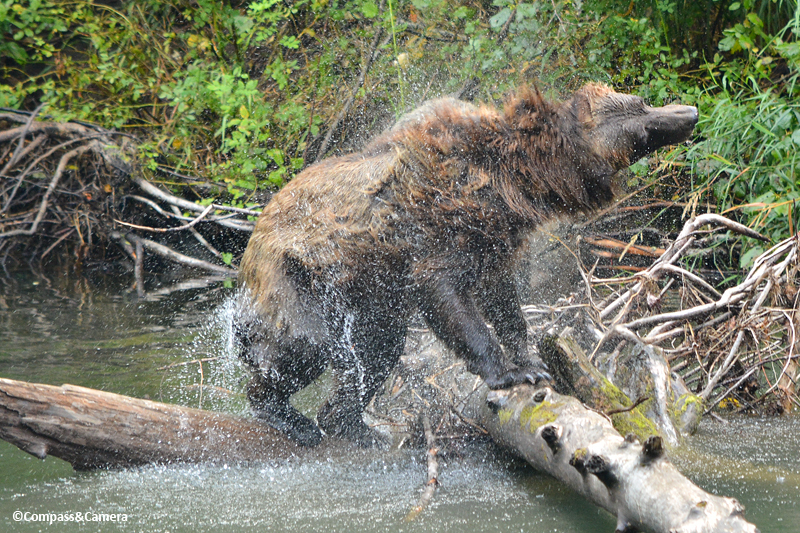 Great to hear the thrill of seeing a grizzly will ever end. I can’t wait to see more — from a distance, of course. I thought the shaking bear looked like a dog too, and overall they do seem to share some similar movements and behaviors. Makes me want to cuddle up with one but that would never be a good idea! Happy weekend! I’ve always wanted to see a grizzly, and even better if I could have photographed one 🙂 What an incredible adventure and place this is. 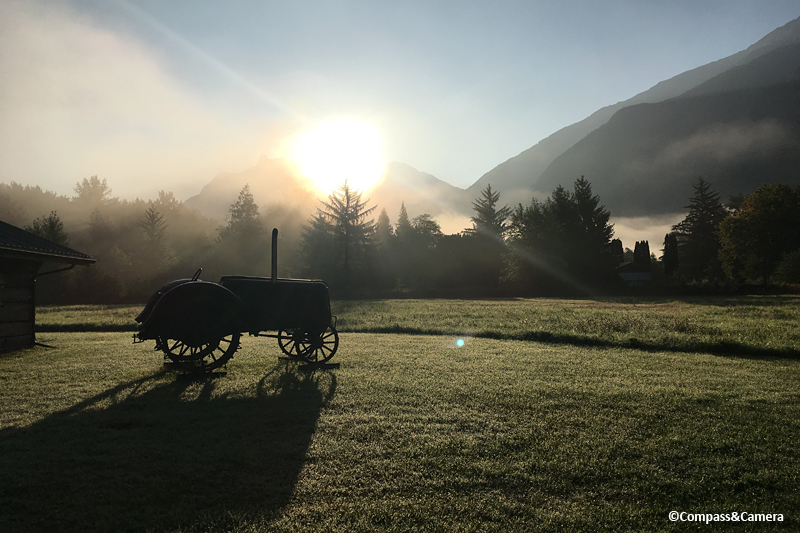 Wonderful countryside, accommodations and then just being surrounded by beauty…a perfect spot. It is one of those spots that right after reading your post…I began planning a time when I could take such a trip 🙂 I think any trip that makes you want to return so soon after a visit is the best recommendation possible. Cheers! This is so beautiful I can’t even put it in words. My eyes have been blessed! Thank you for sharing this! What an absolutely amazing trip. Thank you for sharing it. Thank you, Tanja! Enjoy your weekend! Wow, wow, wow, wow, Kelly! What a privilege to have witnessed such epic scenes. 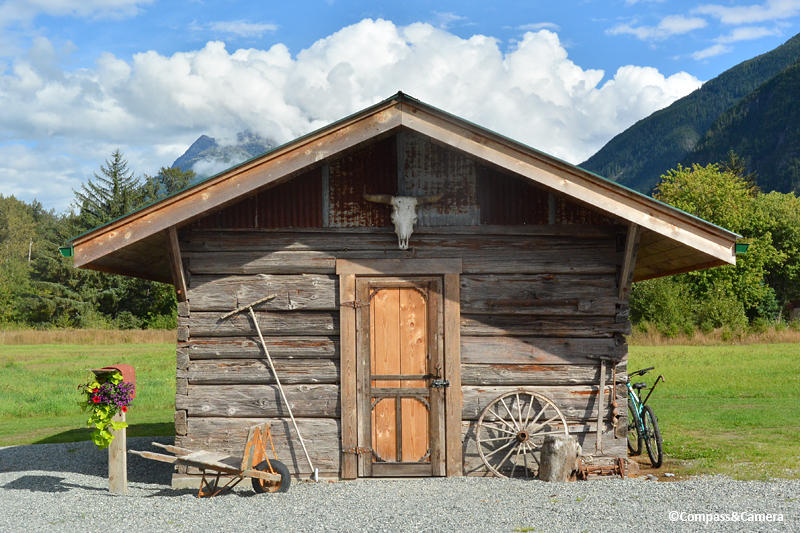 While I’ve visited Vancouver and loved my time there, I think your post has officially made me fall in love with Bella Coola. Absolutely interested. Can you DM me the details on Instagram? Thanks so much! What an amazing weekend Kelly! And how beautifully you describe it with your photos and especially your evocative writing. Grizly viewing was never on my radar either, but you just put it at the top of my list. Brilliant post. PS: Wondering why your latest posts do not show up under any of your category listings on your home page? Hmmm… partly so they’re not double listed on the home page (featured + category) but I also need to do a better job of populating my categories. Thanks for the question, which is a great reminder! Thank you, Madhu! 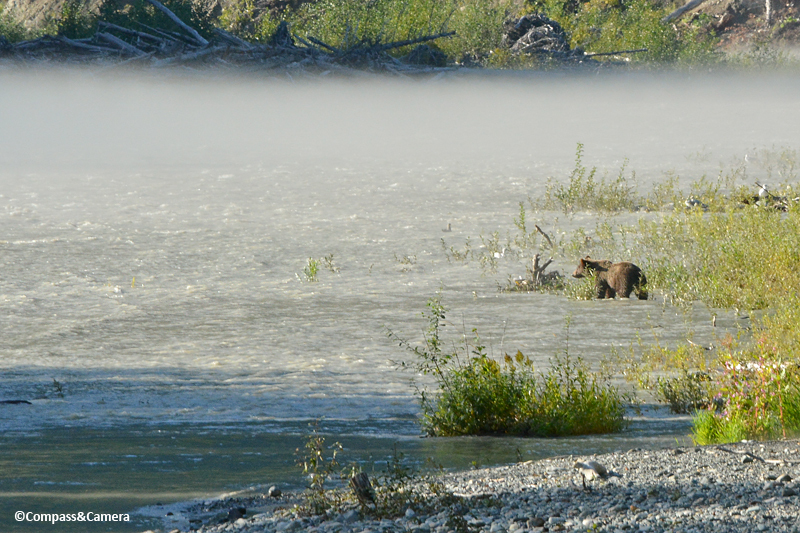 GREAT that grizzly viewing is on your radar now! It takes some patience but seeing these huge, powerful creatures in the world is just really incredible. You would love it. Hope you had a great weekend and thanks for reading! ~K. A great adventure Kelly – you did a great job describing and showing it. 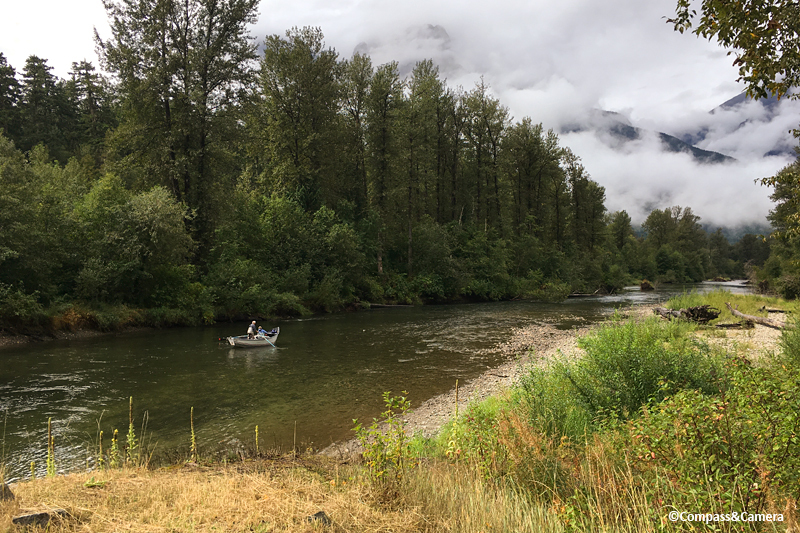 I had a similar experience in Alaska and it truly reinforced for me the importance of keeping areas of our world in their natural state and protecting the environment for amazing creatures like these. 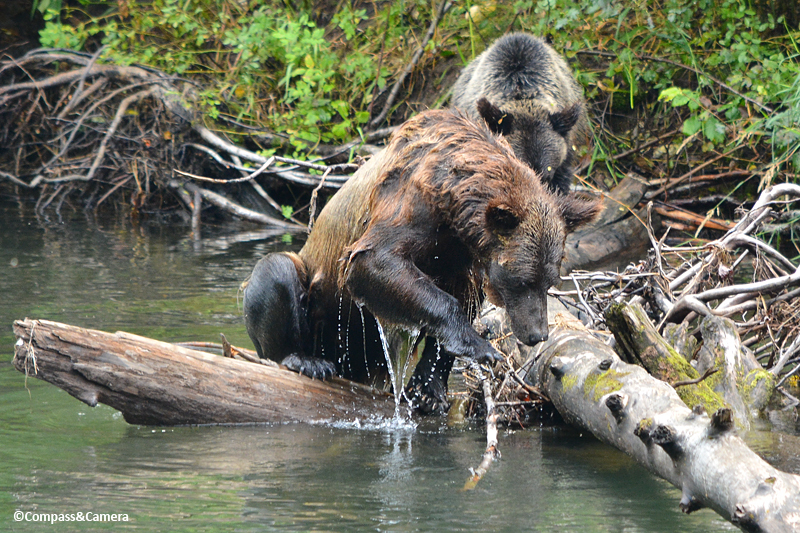 We saw many bears as it was salmon running time and they were really feasting. Thanks for the wonderful reminder! Hey, Tina! Great comment. 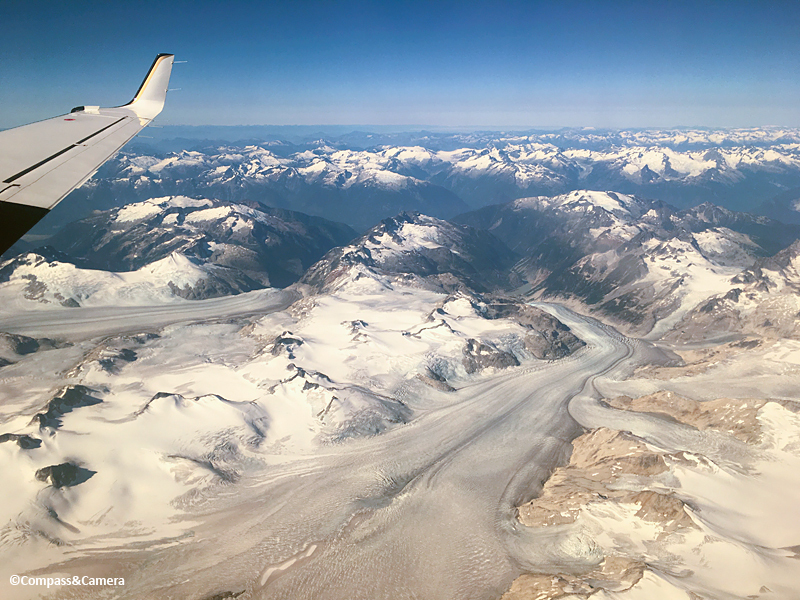 Sounds like you had a wonderful trip to Alaska! Agreed — seeing large predators in the wild really makes you realize how amazing and diverse the world is. 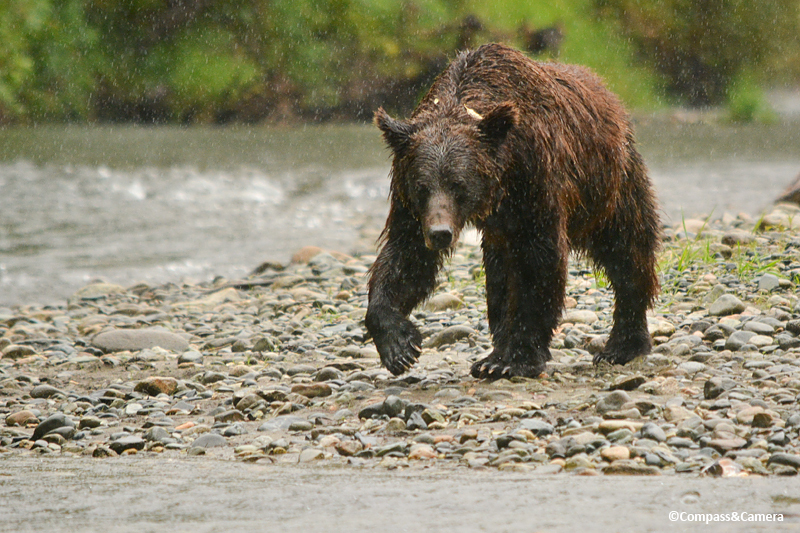 Now that I’ve been to Bella Coola, a trip to see Alaska’s bears is definitely on the list. And polar bears too! Would love to go to the Arctic Wildlife Refuge. Hope you had a great weekend! Stunning images of the bears, Kelly. What an interesting collection of photographs and stories. 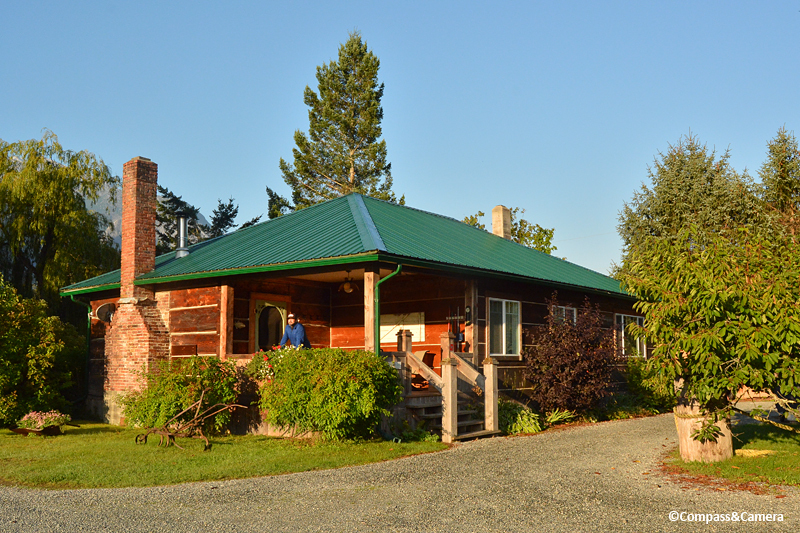 We were in BC this summer but on Vancouver Island. Didn’t go inland, and there were lots of wildfires. Looks amazing. Wow! You put up a wonderful collection of photos! Quite a great variety of great bear shots! 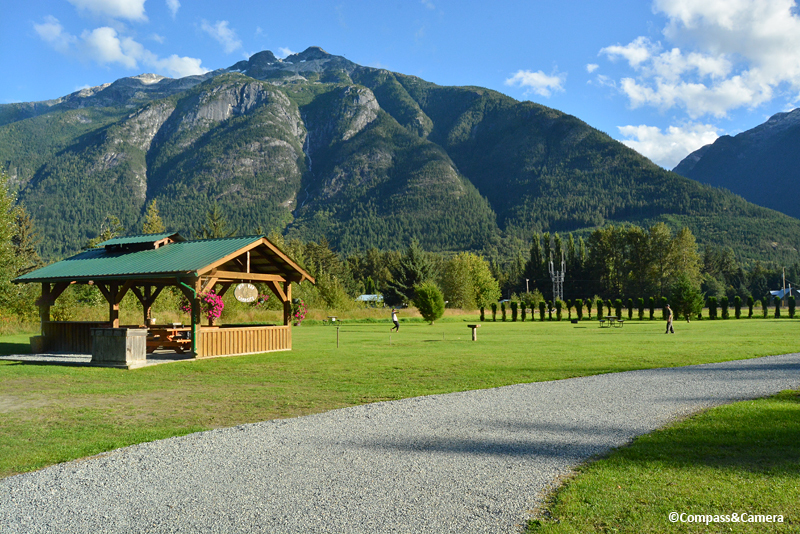 I lived in Vancouver, BC area all my life, but never been to Bella Coola – now you’ve given me an appetite! Great! Thanks for the advice Kelly! Yes! Definitely worth it! Happy holidays! I guess at least one good thing about taking a sabbatical from blogsville is that when I return, I get to read some of your older posts that I missed! 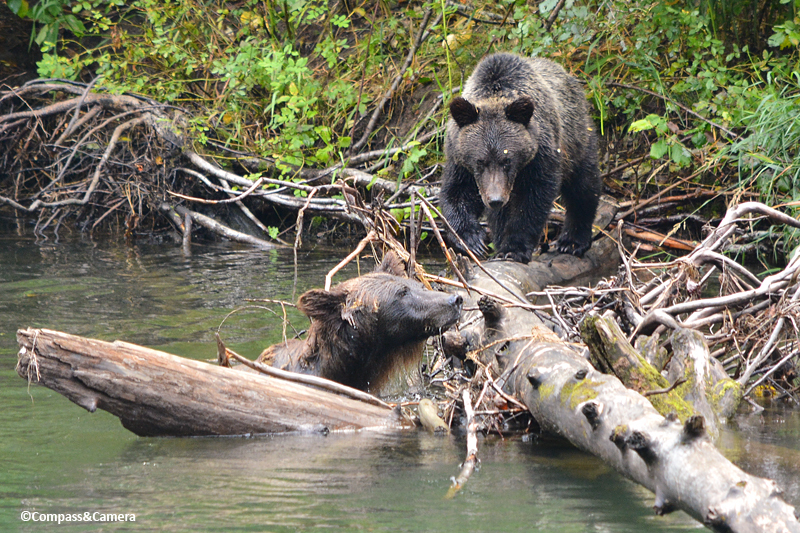 The photos here are outrageous…did you have like 1000mm lens or were you that close to those grizzes? They look kinda thin don’t they? As usual…it’s always a treat to read your words. These photographs of the bears are absolutely gorgeous. I love the ones which show the wet fur so clearly. Incredible.